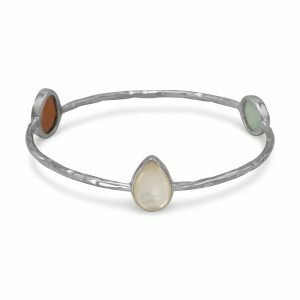 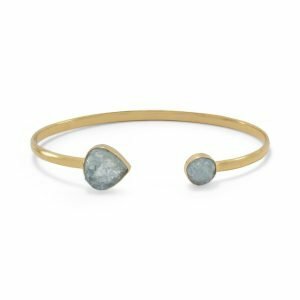 Sterling silver hammered 2mm stackable bangle bracelet with mother of pearl, moonstone and green chalcedony. 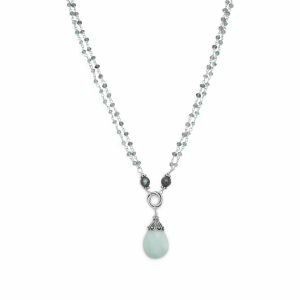 The pear shape mother of pearl is approximately 10.5mm x 14.5mm, the oval peach moonstone is approximately 11mm x 14mm and the oval green chalcedony is approximately 10.5mm x 12mm. 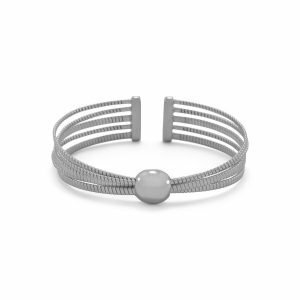 Rhodium plated sterling silver cuff bracelet with 5 individual grooved rows joined together at a center 11.7mm dome. 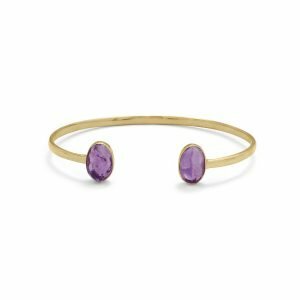 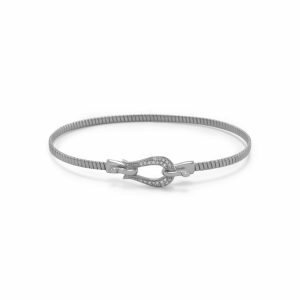 The cuff has 2 simple bar ends that measure approximately 17mm x3.5mm wide. 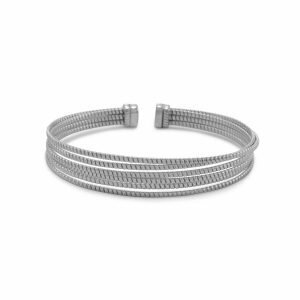 Rhodium plated sterling silver cuff bracelet with 6 individual 1.7mm grooved rows and 2 decorative bar ends. 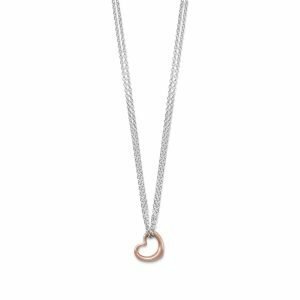 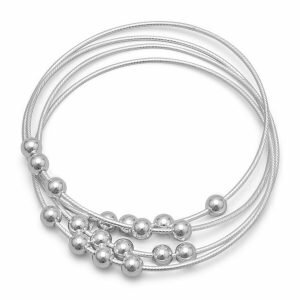 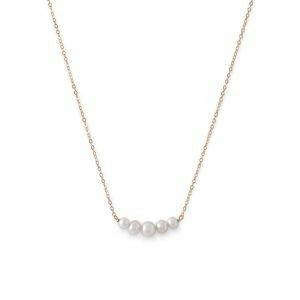 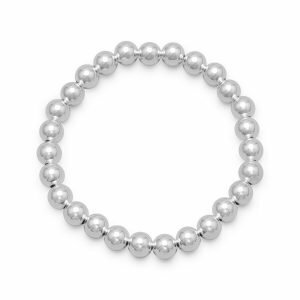 18″ + 2″ extension rhodium plated sterling silver necklace with lobster clasp closure. 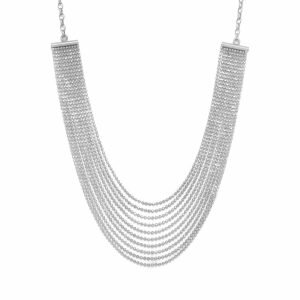 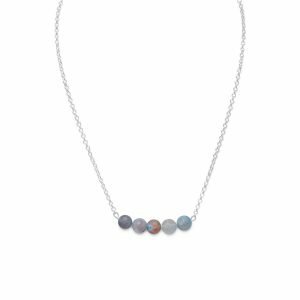 This necklace has 10 graduated rows of faceted beads with the shortest measuring 7.75″ and the longest 10.5″.